Despite the carnival feel and one-sided predictions throughout the build, the August boxing superfight between Floyd Mayweather and UFC champion Conor McGregor turned out to be an entertaining -- and financially gluttonous -- event for those involved. Still, there was a lingering feeling from some in the aftermath that the fight, pairing the greatest boxer of his era against a boxing novice, may not have been completely on the up and up. At the very least, many wondered whether the 40-year-old Mayweather carried McGregor in the early rounds before switching gears and finishing him late. It turns out there just might be some truth to that idea, confirmed Monday by the former pound-for-pound king himself. Mayweather, who is currently vacationing in China, addressed the issue in a video posted on FightHype.com, which Mayweather has consistently used as his mouthpiece for exclusives. "Everybody trying to protest the Mayweather-McGregor fight but I'm going to tell you all the truth," Mayweather said. "You know I carried McGregor. You know I made it look good for y'all." Mayweather's reveal is far from surprising considering he partially admitted so after the fight by claiming it was his strategy to refrain from throwing punches in the first four rounds, knowing the tightly wound McGregor, 29, would wear himself out. The plan worked to perfection as McGregor, who had little power on his shots, faded late and was visibly exhausted before the stoppage in Round 10. The fact that Mayweather revealed it in such a demonstratively trolling manner was the only surprising detail. The reason was because the video was created as a response to recent comments from former rival Oscar De La Hoya. The Hall of Fame fighter and rival promoter atop Golden Boy had spoken out against Mayweather-McGregor earlier this year, including a letter written to fans asking them to boycott and an expletive-filled rant on social media claiming the fight "disrespected" the sport. 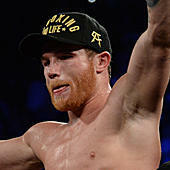 De La Hoya's comments came months after he pleaded on video for McGregor to challenge his own fighter, Canelo Alvarez, creating an outcry of hypocrisy against him. But De La Hoya switched gears one more time in November when he announced, at age 44, that he has been secretly training for a comeback against McGregor (a statement he has subsequently walked back). Mayweather finally responded publicly to De La Hoya's actions and didn't back down from referencing his recent history with drug abuse. "Wasn't Oscar De La Hoya the same one talking about me fighting Conor McGregor and he was trying to protest and stop the fight?" Mayweather said. "Now he's trying to fight Conor McGregor? Is he a hypocrite or is he back on coke again? Is he a hypocrite or is he back on coke again? Man, that boy still snorting the lines."